This summer, the business practices of so-called "predatory publishers" drew a great deal of attention in the media. Some researchers became involved in the system employed by such predatory publishers by publishing papers that had not undergone the usual peer review process or participating in conferences that entirely lacked merit. This was met with heavy criticism from both society and the scientific community. But where and how does the scientific system need to change? 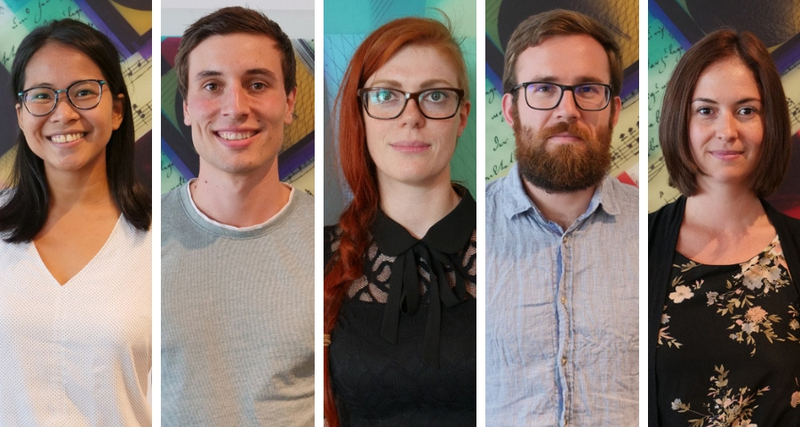 We asked seven young Helmholtz researchers for their input: How should research data and software be handled going forward? How does the publication and peer review process need to change? What is the situation in terms of scientific results being made open and transparent to the public? And how can citizens participate in the research process themselves? The "Helmholtz Juniors" shared their ideas. "Scientific progress requires both intense exchange among researchers and communication with society. Therefore, publications have to be accessible globally, at any given time, and for free. This includes raw data, software, but also negative results. Currently, science is challenged by redundantly conducted experiments due to inaccessible data, but more so by the dominant issue of non-reproducible results. These issues will be addressed when we achieve a system of open-access for all fields of research. Current efforts of the German DEAL consortium aim at realizing an open-access policy for Germany with big publishing houses, making a step towards worldwide open science." "If we want scientists to produce scientific articles for the public, we should find a way to encourage scientists to write. One suggestion is for journals to provide an online tracking service for scientists where they can monitor the status of their submitted manuscript. Because the waiting time for the journal to return your paper for revisions, which can take months, could limit the scientist to publish. Hence, some scientists could be discouraged to submit their papers in peer-reviewed journals and resort to other media where they can easily share their knowledge, or just do not publish at all." "In recent years, so-called 'predatory journals' have worked increasingly hard to persuade researchers to publish work in their journals. But these alleged scientific journals typically only offer quality measures that are completely unsatisfactory – they are not serious publishing houses. In fact, they have a damaging effect on science as a whole and on its credibility. Publishing in such media, which combine material from different areas of research or do not conduct proper peer reviews, can lead to results being taken out of context. Traditional means of publication, therefore, have to be further improved. We have to find ways to reach broader audiences, for example by openly sharing our research and collaborating with international groups." "Basic research is mostly government-financed. Its outcome is new knowledge shared in the form of publications that often can only be accessed through paid journals. This prevents the general public from easily accessing knowledge that has been generated through public money. Nowadays there is a strong trend towards open access research that in the future hopefully provide cutting edge science to anyone willing to deepen his or her knowledge. Especially in times where science is questioned repeatedly, this approach can build more trust and help to connect science and society." About changes in "Peer Reviewing"
"Scientific progress relies on accessibility of unbiased information and reproducible data. Today publication of academic research is often focused on studies with positive results although negative results are equally important for efficient scientific progress. Some journals and open access platforms as BioRxiv enable researchers to also make negative results publicly available, yet with low visibility or limited peer review. A preferable paradigm change in scientific publishing would foster acceptance and availability of studies unbiased by their outcome while ensuring high quality research." "A fundamental aspiration of the scientific method is that experiments should be independently repeatable by anyone and such that theories are falsifiable. As research draws on ever-larger amounts of data and utilises sophisticated evaluation methods that is becoming impossible. The publications process will need to ensure raw data collections and utilized codes are stored and can be made available while ensuring the protection of sensitive data and intellectual property. For science to be self-correcting replication needs to be encouraged and rewarded." "As scientists we aim to explain and understand but many citizens who do not work in the sciences have these same goals. This public interest in science is advantageous for both sides. For one, citizen science initiatives have helped to strengthen science, as large networks of volunteers help scientists accomplish tasks that would otherwise be too time-consuming or expensive to accomplish by other means. Furthermore, involving 'citizen scientists' in projects in cooperation with researchers gives them the opportunity to participate in scientific work and contribute their own perspectives. Collaborating in this way is therefore rewarding for both sides – and also promotes mutual understanding."